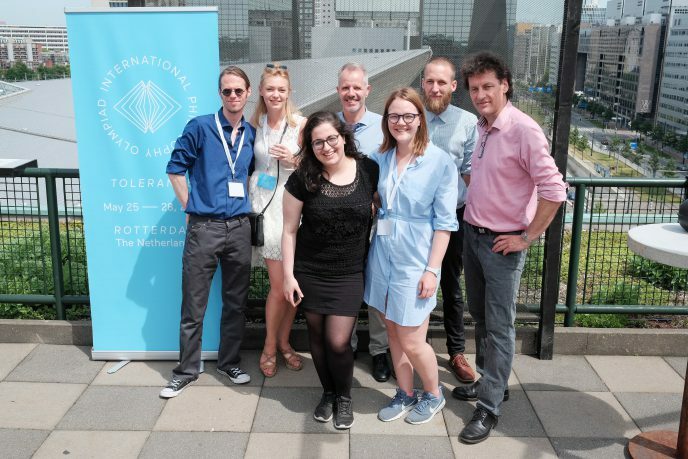 From 25 to 28 May 2017, The Netherlands, and more in particular the City of Rotterdam and Erasmus University, hosted the 25th International Philosophy Olympiad (IPO 2017). No less than 95 competitors from 45 countries participated in this Olympiad and the Organising Committee, as well as our local and national partners, are proud to look back on a very successful event. All winners of IPO 2017 may be found on the Results page. Besides the essay competition, the programme of IPO 2017 included educational and social events centred around the topic of Tolerance, as well as touristic excursions throughout the city and port. Today, Rotterdam is a modern city, full of high rise buildings and futuristic architecture – a unique feature that has its background in the devastation brought upon the city during World War II. After the war, Rotterdam rapidly redeveloped, to become the biggest harbour in the world for many decades. Presently, the port of Rotterdam is still Europe’s biggest and the world’s fourth biggest harbour in terms of bulk shipment. As was highlighted by lectures and city tours during IPO 2017, Rotterdam played an important role in the history of philosophy from the 1500s onwards. Towards the end of the Middle Ages, the city was the birthplace of Desiderius Erasmus Roterodamus (1466-1536), the famous Renaissance humanist who, through his literary, moral and religious works, would become the teacher of all sixteenth-century Europeans. Rotterdam later housed other philosophical celebrities, such as the English philosopher John Locke (1632-1704), the Dutch physician and political thinker Bernard Mandeville (1670-1733), and the French philosopher in exile Pierre Bayle (1647-1706), who was known in his own days as “the philosopher of Rotterdam”. The theme of Tolerance was chosen for the Rotterdam edition of the International Philosophy Olympiad not only to honour the famous philosophers who are its emblematic citizens, but also because, as a harbour to the world, the city is also a harbour to people of many different nationalities and backgrounds today. For the Organising Committee of IPO 2017, the Rotterdam Olympiad has been a very inspiring event. It is our hope that this Olympiad has been successful in contributing to the formation of new friendships between competitors and delegations, and thus in strengthening personal ties within the growing community of philosophers around the world. We are already looking forward to IPO 2018 in Bar, Montenegro! The Organising Committee: Dennis de Gruijter, Joy Dijksman, Sadaf Soloukey, Han van Ruler, Marlijn Mulder, Floris Velema and Dirk Oosthoek.